We’d love your help. Let us know what’s wrong with this preview of Baby Dust by Deanna Roy. The five women sitting in the circle of chairs all had great dreams of motherhood. Melinda sees blood on the floor every day after her loss. Dot believes the wrath of God caused her baby to die. Teenage Tina is trolling internet dating sites for a father for another baby, and Janet’s failure to cry means her wedding is off. Stella, the support group l The five women sitting in the circle of chairs all had great dreams of motherhood. Melinda sees blood on the floor every day after her loss. Dot believes the wrath of God caused her baby to die. Teenage Tina is trolling internet dating sites for a father for another baby, and Janet’s failure to cry means her wedding is off. Stella, the support group leader, must help them while facing the old choices that cost her ever having a family of her own. 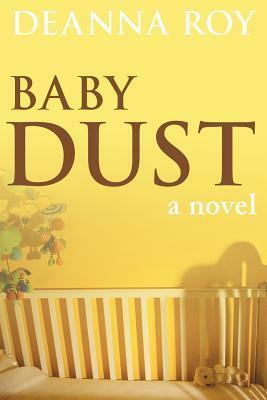 To ask other readers questions about Baby Dust, please sign up. Each pregnancy loss is definitely uniquie, but I repeatedly found myself relating to each of the women in the novel Baby Dust. At times I felt like the author had read my mind and penned my thoughts and emotions. I was reaching for the book at every spare moment I had. I was lent this book after experiencing loss and it has helped me feel less isolated. The author dedicated the book to the babies who were lost after years of research. This was a lovely, sensitive novel about the many ways to cope with pregnancy loss. Each character had parts which resonated deeply with me, and there was enough humour mixed with the sad subject matter to provide a healthy balance. I thoroughly enjoyed the fact that although based on real women, this was in novel format, rather than a preachy, self-help book, and the happy endings are a light point to focus on while going through dark times. (I did lose it while reading the list of angel baby n This was a lovely, sensitive novel about the many ways to cope with pregnancy loss. Each character had parts which resonated deeply with me, and there was enough humour mixed with the sad subject matter to provide a healthy balance. “Baby Dust” provides a unique perspective of what women go through when they lose their babies – how they struggle through the pain when no one else realizes that they ARE babies. Roy has created an emotional and unforgettable journey that exposes the hearts and feelings of women who have had a miscarriage. “Baby Dust” does not sugar coat the pain and it will leave you aching for these women that have experienced a great loss often unrecognized as that by society. Read my full review at www.crazy “Baby Dust” provides a unique perspective of what women go through when they lose their babies – how they struggle through the pain when no one else realizes that they ARE babies. Roy has created an emotional and unforgettable journey that exposes the hearts and feelings of women who have had a miscarriage. “Baby Dust” does not sugar coat the pain and it will leave you aching for these women that have experienced a great loss often unrecognized as that by society. Finished this book yesterday. I really enjoyed it. It is such sensitive material, but Roy expresses it so well.It is broken up into 5 parts - each part linking to the other, but still a story in itself. This author writes from first hand experience and bases each story on a combination of women she knows and has interviewed. The subject of the book is tragic, but the writing is superb...worth the read. I thought this book was pretty good. I recently lost my son at 18.5 weeks gestation. I was recommended this book through Pintrest. I could relate to the hurt, anguish, pain, guilt, and anger that the characters felt. I didn't like the endings to each woman's "story". Each of them had a happy ending. Life doesn't work out that way. I felt these endings weren't very realistic. this book is about the life's of women who have lost their baby's and the life before and after. this book is great for women that are going through this lose it show that everyone groves and acts differently . This book is a great read for anyone that has experienced the loss of a baby to miscarriage. It's very sad in places but incredibly accurate. Having lost three to miscarriage myself, I could totally relate to this book. Wonderful, emotional, heart-wrenching read. I cried a lot through this book. I have had 2 miscarriages and I could relate so well to what these ladies were going through. Well-written and engrossing, I will read it again and again. This book helped me to feel "normal" as we went through some very difficult times. Tear jerker for sure! I was really surprised and impressed by how thoughtfully and sensitively this book came across. Definitely not just another work in the chick lit category. This is a heartwarming story about how different types of women, from all walks of life, deal with the loss of a child. Very emotional read for any woman who has experienced a loss. What a rollercoaster of emotions. I did not have a dry eye from start to finish. I know how these women feel I have been there myself. This book was so well written that I felt I was getting the support needed as well as the women in the group. I related so well to Melinda. I haven’t dealt with my grief for years and I feel a little lighter after reading this book. Made me acknowledge how real my pain was and that it was ok to grieve. This book was pretty well written, but the characters and their storylines all seemed a little stereotypical; ie. the pregnant teen who's boyfriend leaves, the career focused business woman, the step-mother who has to compete with the ex-wife and live the high-society lifestyle. I guess the book was trying to cater to an broad female demographic, but it just didn't help create realistic characters. 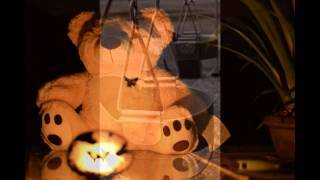 5 women going through loss of children/miscarriage. I really enjoyed this book. I somehow felt peace while I read it. I think anyone that has been through this or know someone who has should read this book. Even though I have never been pregnant or had a miscarriage it was good to read what women go through and how they can overcome this horrible experience. Any book that helps a woman with pregnancy loss is worth my time. This one will appeal to some women and not others, of course, but I am grateful to add it to my library of resources.